The people of South Africa still struggle with deeply rooted inequality, high levels of poverty, violence, dysfunctional communities and many other social ills. Hugenote Kollege dreams of communities of dedicated and well-equipped people participating in the caring for and healing of the ills of this world. To build such communities, innovative social leaders are needed to build and develop the human and social capital of our nation. 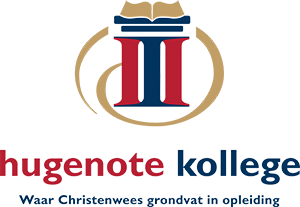 Through a variety of accredited courses, certificates, diplomas and degrees, as well as short courses, the Programmes for Social Reformation and Theology and Ministry at Hugenote Kollege aim at training social leaders who are willing and prepared to devote their lives and talents to improve society regardless of social standing, wealth, culture, ethnicity or privilege. The College also believes that continuous social innovation is needed to ensure that effective, well-researched and context-specific solutions to the needs of individuals, groups and communities are developed and implemented.